These beautiful linens add a touch of fall color with an elegant design. 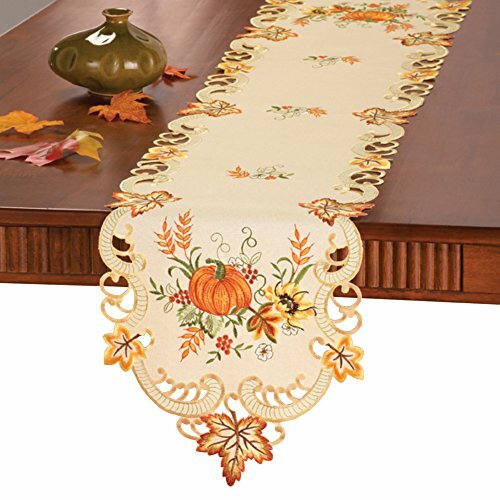 Table runner and table square feature a cream colored background with intricate cutouts, scroll accents and exquisitely embroidered pumpkins, sunflowers, berries and leaves. Perfect on their own or with a coordinating tablecloth underneath (sold separately). Machine wash. Polyester; imported. Available either as a Runner (66 1/4"L x 13"W) or a Square (34"Sq. ).